Her name's Rose - not a human, but The Cosmo's cheeky, flirty, and always-on-call chatbot concierge. Las Vegas offers a plethora of large, lavish casinos and resorts where guests can indulge in all manner of luxury. Being at the center of the Las Vegas Strip, The Cosmopolitan has competition in every direction, so its number one mission has always been to deliver unforgettable experiences and provide guests with everything they need to do Vegas in style. This is where Rose comes in. Guests checking in to The Cosmo receive a mysterious envelope. Inside, a card reads: "Know my secrets. Text me." Beneath is Rose's phone number, which guests use to text the virtual concierge to ask for anything they might need. Extra towels for the room? Just text Rose. Fancy a pizza at 4 a.m.? Text Rose. Aside from answering requests for basic services, Rose acts as the resident Vegas insider and makes The Cosmopolitan's guests feel like a VIP wherever they go. Rose treats guests to VIP access to select restaurants, lets them skip lines and entrance fees at clubs - "Just tell them Rose sent you" - and gets them priority reservations for pool cabanas and spa treatments. She knows about secret off-menu cocktails at bars, what's going on at the countless dining and entertainment venues around the resort, and even takes guests on a guided tour of the hotel's art collection. Far more engaging than thumbing through a brochure or browsing a website, Rose helps guests navigate the resort on-the-go - and encourages them to book additional experiences in the process. She's smart, too - The Cosmopolitan says that Rose is able to answer 80% of all guest queries, with the remaining 20% diverted directly to (human) customer service agents. "Just the Right Amount of Wrong"
The Cosmo developed Rose in partnership with digital agency R/GA to better interact with customers in a fun and playful way. Like all good chatbots, Rose is anything but robotic. Ask her about free champagne and she'll reply, "Do I look like a sugar daddy?". Tell Rose you love her, and her response is, "Back that up with some hardware and we'll talk," complete with engagement ring emoji. Rose also plays games with guests, including "Kiss Marry Diss", "Would You Rather? ", and Two Truths and a Lie. The Cosmopolitan purposefully branded Rose - the "Resident Mischief Maker" - to engage in a flirtatious way that chimes with the hotel's slogan, "Just the right amount of wrong." For Mamie Peers, Vice President, Digital Marketing, at The Cosmopolitan of Las Vegas, it was critical to reflect the hotel's sassy, eclectic personality when developing the chatbot. "We aim to achieve a level of connection with the guest that feels distinctly 'cosmopolitan'," explained Peers in Eye for Travel in May this year. "To be distinct from a service perspective, a bot needs to be more than transactional, to be a personality." Rose was initially developed with a clear vision to drive more direct bookings. 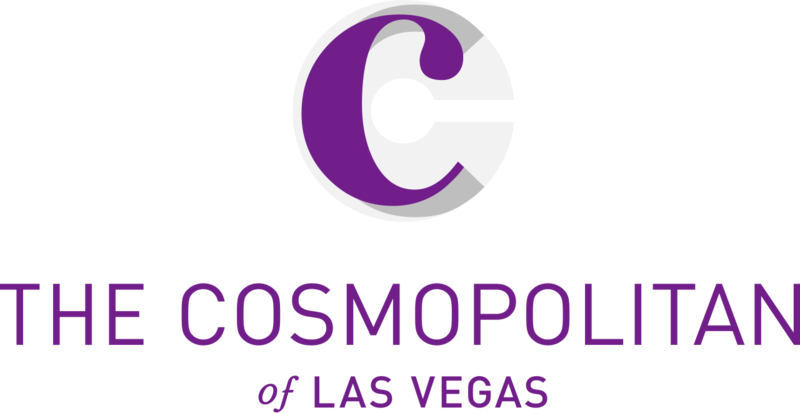 With more than 3,000 rooms, The Cosmopolitan not only competes with other hotel properties on the Vegas Strip, but also with online travel agents (OTAs). Those who book through an OTA get a room at The Cosmo, but those who book direct get access to additional services. "We were looking for a way to connect directly with customers, especially OTA or third-party customers who might book our hotel through companies like Expedia or Travelocity," said Peers. Rose helps The Cosmopolitan build a closer and more personal relationship with guests - the aim being that when they return, they'll choose to book direct rather than with an OTA. Peers said that Rose has delivered on the original vision - and also on a number of others. Guests who engage with Rose spend 30% more than those who don't, and they're also 33% happier when they leave. Looking forward, The Cosmo will continue to expand Rose's capabilities and will link the bot to the hotel's loyalty program this year to service top-tier customers. According to Peers, guests will be able to ask Rose how many points they've accumulated on the program, and what offers are available. Rose will text back with direct links for guests to access things like free spa treatments, concert tickets, and other benefits they can then book straight from their smartphone. "A lot of loyalty programmes have apps," said Peers. "But being able to service a customer via text message feels far more personal and is what our hosted customers are accustomed to. Extending Rose to offer a more personal level of service in the hotel and casino is going to be a lot of fun." You can hear Mamie Peers, VP of Digital Marketing at The Cosmopolitan of Las Vegas, speak at Mobile Next 2018 this September at the Omni Rancho Las Palmas, Rancho Mirage, CA.